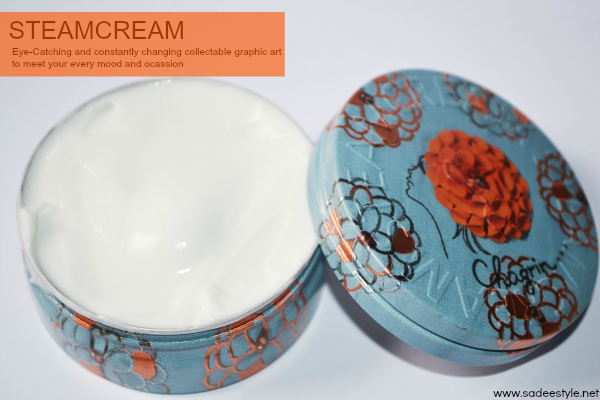 A fun way to pamper your skin with steam cream comes with a unique and inspired tins to spice things up. A fresh and a delicate concept to take care skin of hand and body with all natural ingredients. Freshly handmade creams are made with natural ingredients that are fused together by a shot of steam. Although there are many Inspired tins available at their online store but stock is limited. However, I do not remembered the design number but I have got the floral blue tin which is so pretty. SadeeStyle Verdict.I got a chance to tryout an award winning product. I was bit confused but excited. Steam Cream claimed to be made in England and Japan it a Pure natural hand made product with traceable ingredient. It can be seen in the images above that cream is more like a lotion. It's sheer, smooth and velvety texture. Smell is not very appealing as they have not included any kind of artificial fragrance and perfume in it. 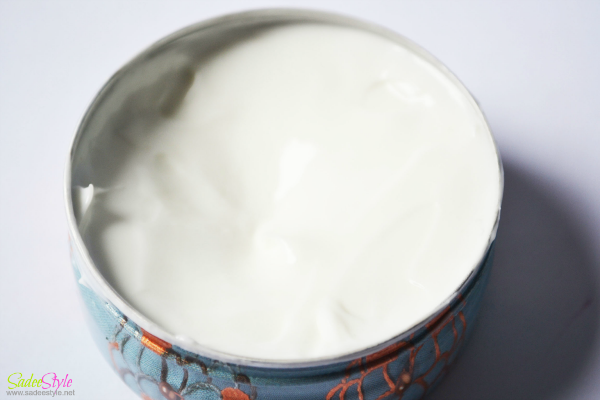 It feels so light and fresh and absorb into skin quickly with leaving oily sensation. It gives quite moisture to dry skin and i usually use it before makeup and it left skin smooth soothing and very moisturizing. Overall I had a good experience with steam cream. However, I found price bit too high for the quantity. it seems nice but isnt it only for dry skin?